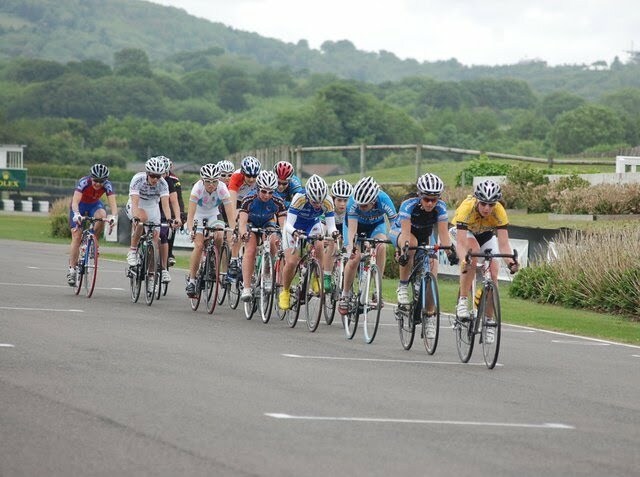 It was a healthy turn-out for the Surrey League Goodwood race promoted by Dulwich Paragon on Sunday. 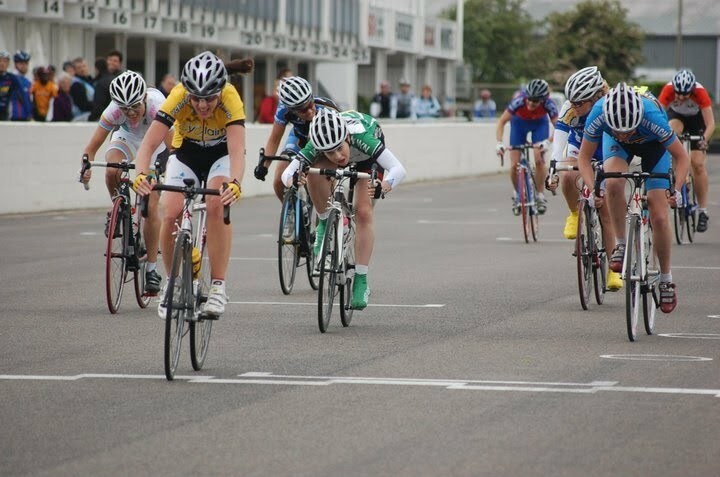 For lower category riders only, this race served to determine the LWCR 3rd cat and 4th cat champions. Congrats to Dyanne Holland of Inverse/Cyclaim RT for winning the race (and the 3rd cat crown) and to Kate Hewett from MuleBar Girls for a 4th place showing and 4th cat champ. 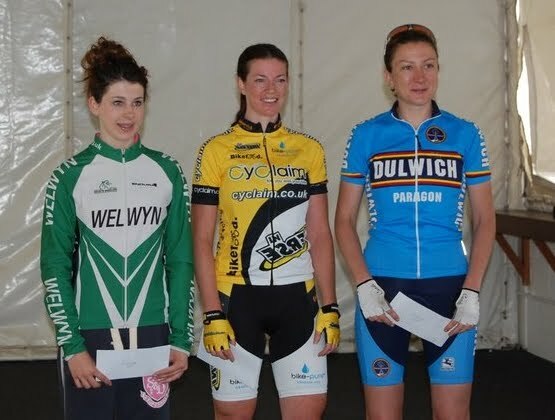 The podium was rounded out by Delia Beddis of Dulwich Paragon in second place and Kimberly English of Welwyn Wheelers in third. 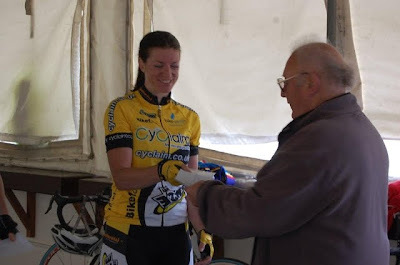 The coveted Lanterne Rouge was won by Gem Atkinson of Rapha CC. A well-contested sprint finish from all. Surrey League owner and former pro racer Keith Butler awards Dyanne Holland with 1st prize. 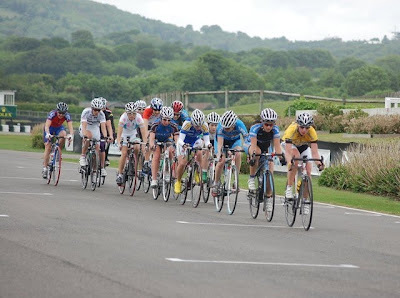 Many thanks to Pauline English for the photos.